A distribution firm has increased staff retention rates after using innovative ways to recruit drivers. 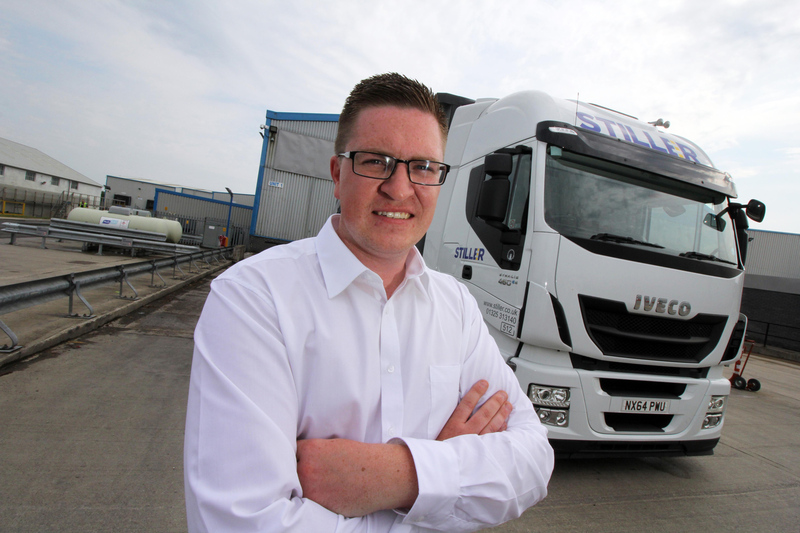 Stiller Warehousing and Distribution, based on Aycliffe Business Park, are recruiting ex-servicemen as well as young staff and people from overseas to combat the national driver shortage problem. Now the Newton Aycliffe firm is enjoying increased retention rates, which is enabling it to grow. Chris Bain, Stiller’s head of pallet distribution, was tasked with finding different ways of recruiting drivers. After the introduction of the Certificate of Professional Competence (CPC) in September 2014, transport companies and agencies have experienced major recruitment issues. As well as signing up five drivers from Romania, Chris has been working with the Resettlement Centre at Catterick Garrison on a new Career Transition Partnership. Now 30% of Stiller’s 80-man driving team is made up of ex-forces, with five new drivers coming through the new scheme since the end of last year. The firm is also offering a £200 recommend a friend bonus to employees who introduce new drivers to the company. Former Woodham Academy student Chris, 25, who joined Stiller in 2013 originally as traffic planner, said: “Our retention has been really good as a result of that and has helped us to grow. “We’re still looking for drivers but that’s simply because we’re expanding – not because of the general problem of driver shortages. “We put a recommend a friend scheme in place. If employees introduce new drivers to the business, they receive a £200 bonus. Chris says the Career Transition Partnership has been the most successful initiative Stiller has used to date to recruit new drivers. He added: “We’ve used agencies in the past but we’ve needed some direction of our own and so we’re constantly looking for different ways of getting more drivers on the books. “We’ve run three initiatives up to now – promoting young staff within the company, getting people in from overseas and now this, and it has been the most successful one up to now. “Most men leave the forces with their heavy goods licence, so for us it’s a case of fine-tuning the skills they already have. “We put together a programme which consists of an intense, six-week schedule where they venture into every area of our business. “We bring them into the office, go through the health and safety, and what goes on in the background, and we then take them through all the warehouses and explain what happens in those areas. “It means they’re getting a full appreciation of what’s going on in the background to make the business function and to keep the drivers out on the road. “They’ll then go out with experienced drivers and learn how to make deliveries and how to do the paperwork side of things. “We’ll move them on to the 18-tonne vehicles and then eventually the artics. Stiller drivers Graham Bedford, John Parker and Michael McFarland – all ex-servicemen – were awarded gold certificates after taking part in driver assessor courses run by the Royal Society for the Prevention of Accidents (RoSPA) earlier this year. It has enabled them to coach other Stiller drivers to help make them safer and more fuel efficient. Stiller, which boasts a proud driver safety record, has invested in training up the three senior drivers so they can now help the business in its development of driving staff with a programmed approach to review and assess all drivers.